In and Out is a brand new GTA Online Adversary Mode now available to play on PS4, Xbox One, and PC. This mode sees a lean squad of heavily armed Defenders protecting 8 priceless Packages until the timer runs out. Attackers must make expeditions into enemy territory to nab the bags and then return them safely to home territory. If they die on the way then the bag remains where they fall. Since Defenders can't pick up bags, even an unsuccessful carry will help the Attackers get that little bit closer to bringing home the prize! To celebrate the launch, for the next three days you can earn Double GTA$ & RP while experiencing the three different In and Out maps in the featured Playlist. Along with the Double GTA$ & RP Playlist, there are discounts on the Combat MG, Grenades, SMG ammo & Assault Rifle mods - all part of In and Out Week! 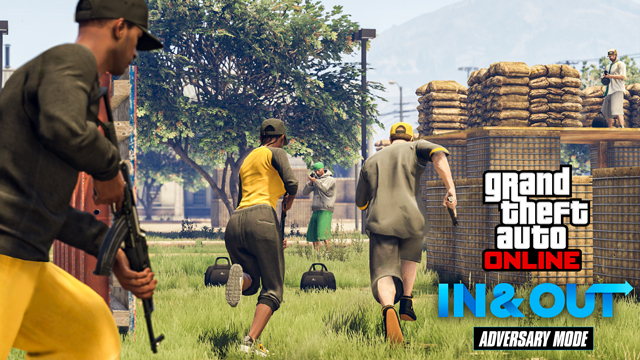 In and Out Adversary Mode Now Available - Get in and get out. The new adversary mode isn't that simple. 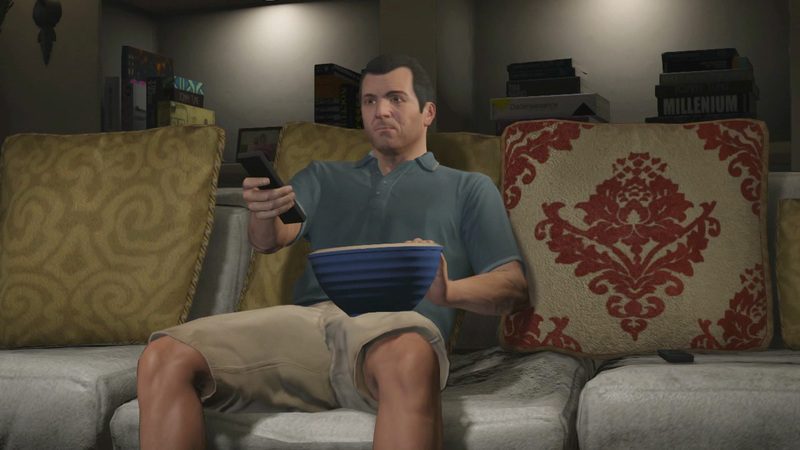 In and Out now available for new-gen GTA Online.